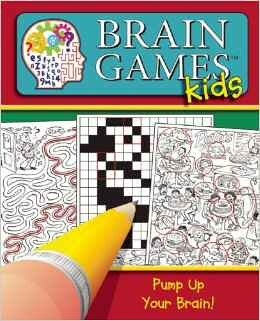 This Brain Games for Kids offers more than 150 puzzles for children ages 8 and older. 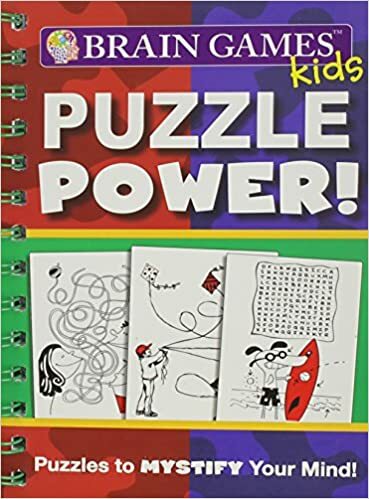 From children’s book selections in the popular Brain Games book series, the puzzle book includes word searches, picture puzzles, mazes, and crosswords. 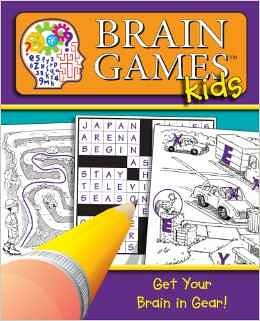 Each challenge and puzzle boosts a child’s brainpower, improving language skills, logical thinking, and analytical reasoning. 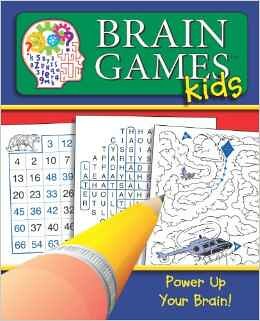 None of the content appears in other Brain Games children’s books. There is a sample of the puzzle pages shown here. Navigate a labyrinth of twists and turns to lead a pirate to his treasure; help a fish escape an octopus; take a spin on a wild waterslide these are just three of more than 150 mazes presented in Brain Games for Kids: Mazes. 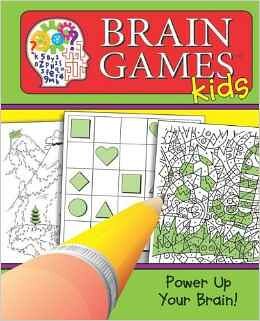 Developed for children ages 8 and older, the book enables kids to challenge their brains, and sharpen and strengthen their thinking process. 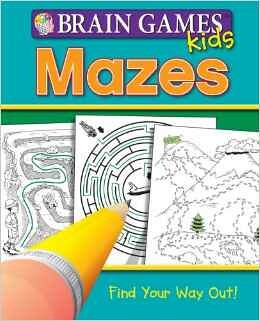 The mazes are sorted into four levels of difficulty, and all solutions are provided in the final section of the book. Many educators agree that puzzles are among the best ways to engage children in the thinking process, and Brain Game for Kids: Mazes offers those types of challenges. The spiral-bound book lies flat when open for easy use and portability. 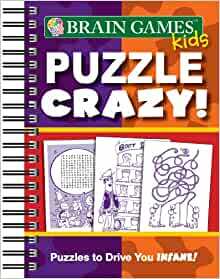 Brain Games Kids: Awesome Activity Book offers 160 pages of mazes, doodles, word searches, and more! Find fun and a new adventure on every page–the four-color illustrations leap off the page! Kids will sharpen their counting, language, and logic skills, all while having a good time. 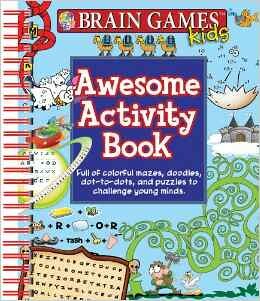 Take Brain Games Kids: Awesome Activity Book wherever you go for countless hours of fun! 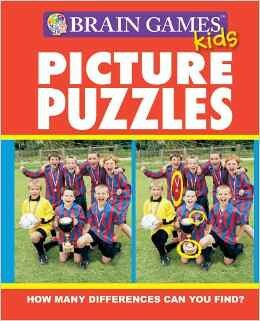 Brain Games for Kids Picture Puzzles is a collection of 144 picture puzzles that provide children a mental workout and test their eye for detail. Two or more pictures that seemingly are identical are presented on the same page, but subtle changes have been made to one of the pictures. It s up to the child to find what has been altered. Solutions to all the picture puzzles are provided in the final section. 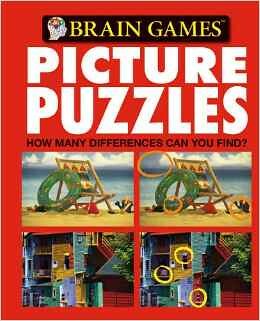 The puzzles are designed for kids ages 7 and older. 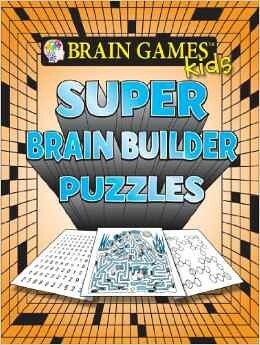 The puzzles in Brain Games for Kids Picture Puzzles progress through four skill levels. The spiral-bound book lies flat when open for easy use and portability.